Desert USA says: There are five ovens, wonderfully preserved, surviving in an area so remote and so nearly inaccessible that the lack of disturbance is easily understood. The ovens were used to reduce mesquite wood to coke, a hotter burning fuel, for use in smelting gold and silver ore taken from surrounding mines. 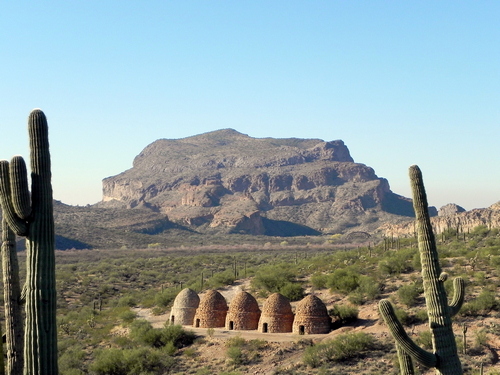 The beehive-shaped stone coke ovens are each about 25 feet in diameter and 30 feet in height. Each has a ground level entry and a few upper level vents. The mesquite wood, burned slowly in the ovens for days, yielded the coke. The new fuel was then transported directly across the Gila River to the community of Cochran (now a ghost town) and the smelters. The Coke Ovens are privately owned by James Copeman and were closed to the public in fall, 2015. See the bottom of this page for an explanation. ​I will leave this page online in case they reopen. The Coke Ovens should be on the bucket list of everyone that has a Jeep. Very historic and very interesting. There are oven throughout the West, but these near Florence are some of the most unusual. There are three routes to do the Coke Ovens. Use the large map on the Apache Junction Region page to visualize the options. The traditional route, and the one most traveled, is to enter and leave from the north. Start in Box Canyon and take "1A Box Canyon to Walnut 3.0" to one end of the Coke Ovens Loop, visit the Ovens then exit the other end of the loop and go back to the north. 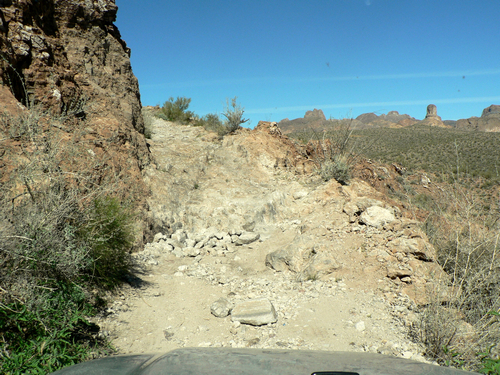 Be aware that the road from the Coke Oven Loop north to the Martinez Road is ROUGH, ROUGH, ROUGH. Certainly no more that 3.0 for difficulty, but very slow and bumpy. We try to avoid it. The second route is to take "1A Box Canyon to Walnut 3.0" all the way through, with a detour to do the Coke Ovens Loop. 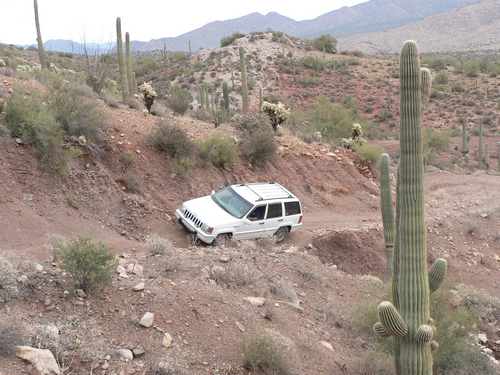 The road east of the Coke Ovens Loop is somewhat smoother than the north one. 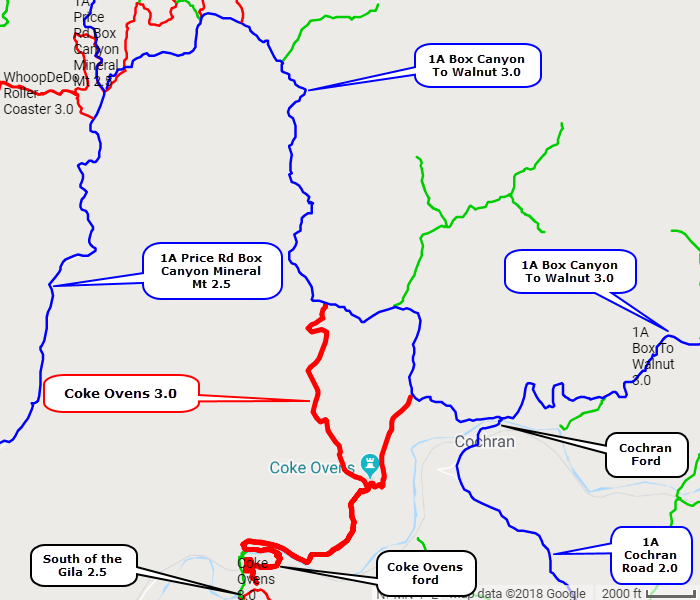 If the Gila River flow is low enough (see below) we prefer to enter from the Florence Kelvin Highway via "1A Cochran 2.0", then "South of the Gila 2.5" to "Coke Ovens Ford 2.5", then to the Coke Ovens. Return the same way or use "1A Box Canyon to Walnut 3.0" either north or east. 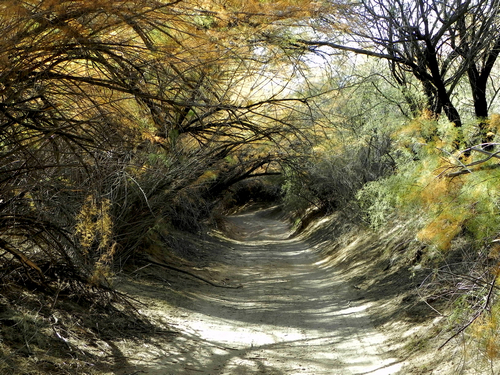 This route is quite scratchy through the mesquite along the river, and can be extremely muddy after heavy rains. Note there is also a ford at the end of "1A Cochran 2.0". 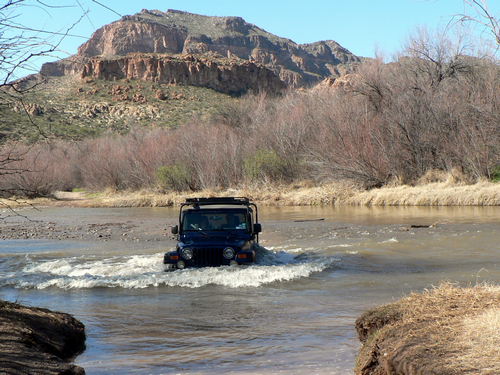 The Gila River can be crossed at the Coke Ovens ford if the Gila River flow at Kelvin is 350 cfs or less. Be very cautious when it is higher than that. Lesser vehicles will not do well at 350. ​Roads along the river are like tunnels. ​During the past 10 years the ranch house has been destroyed and hauled off. The Coke Ovens are slowly being hauled away piece by piece. Also stones are being hauled away for souvenirs and cut up to be used for bookends. This is willful and malicious destruction of a historic landmark that appears on the National Registry of Historic Places as Butte-Cochran Charcoal Ovens. Citations for criminal trespass will be issued by the Pinal County Sheriff's Office, the Arizona Game and Fish Department or Ranch property patrols. ​Quoted from the Apache Junction - Gold Canyon News Feb 22-26, 2016.